With a Double Gold at San Francisco Spirits, five plus stars from Difford’s Guide and a community of wonderful supporters, the time came to upgrade our bottle to tell our story more clearly. The new packaging reflects the true, fresh source of juniper at Hepple and of its faithful capture through our Triple Technique - and we’re excited that it is being really excellently received by those given an early view. We've long admired the work of Timorous Beasties - and their ability to depict the spikey, magnificent complexities of nature. 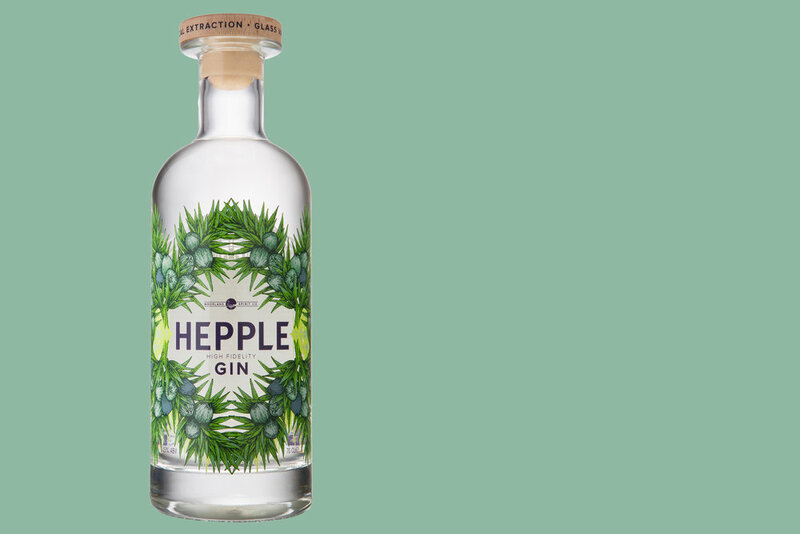 Their designs perfectly match the character of the juniper we know so well at Hepple. From our work researching the unique flavour profile of juniper captured by our Triple Technique we undertook a GCMS flavour analysis, and it was the pattern of these charts that inspired Timerous Beasties’ backdrop for the new label. The result shows the true, wild nature of juniper, brought to life in high fidelity through our pioneering triple technique: copper pot distillation for smoothnes, a glass vacuum for freshness and supercritical extraction for an unrivaled depth of flavour. A story told on one bottle and something we hope everyone will share.